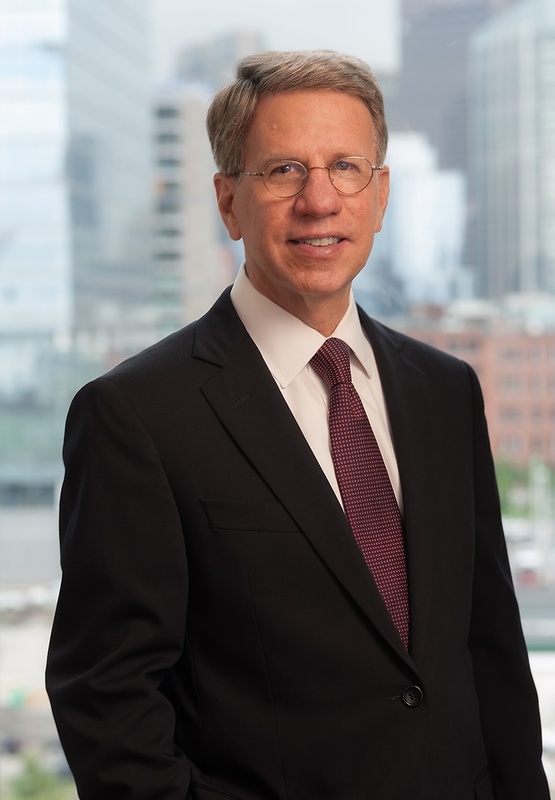 Robert A. Fishman is a partner in Nutter’s Real Estate Department and chairs the firm’s Development, Land Use and Permitting practice group. His practice focuses on development, land use/environmental permitting, acquisition and disposition, financing, leasing, entity formation, and conveyancing. Developers, lenders, corporate, institutional, municipal, and nonprofit clients all rely on Bob’s counsel in the development and financing of mixed-use projects, downtown office buildings, suburban industrial and office parks, shopping centers, hotels, multifamily housing, senior assisted living housing and community facilities. Clients frequently engage Bob on mixed-use, smart growth projects which incorporate sustainability and energy conservation features. Permitting and land use litigation of numerous new and upgraded stores for Shaw's Supermarkets, Inc. and Charter Realty and Development Corp.
Extensive experience representing insurance companies and pension funds, including CIGNA Corporation, AXA-Equitable Life Insurance Company and Lend Lease Real Estate Investments, Inc.
Chaired NAIOP's Public Affairs Committee and represented NAIOP on both the Governor’s Zoning Reform Task Force and recent proposed zoning legislation. Bob has received NAIOP’s Public Affairs award three times for his work on legislative and administrative matters of importance to the real estate industry and, in 2016, the Champion Award in recognition of his exceptional advocacy benefiting the real estate industry. Bob's articles and presentations have addressed zoning and smart growth issues, permitting of complex development projects, environmental indemnification and environmental insurance in business transactions, permitting of assisted living facilities, and non-conforming uses and structures. Bob authors a chapter of MCLE's Massachusetts Zoning Manual and speaks at its annual program. A past chair of the Lawyers’ Team of Combined Jewish Philanthropies of Greater Boston, Inc. (CJP) and a former member of CJP’s Board of Governors, Bob received the prestigious Community of Excellence Award from CJP in 2008 in recognition of his contributions to both the broader community and the legal profession. Nutter represented Congregation Mishkan Tefila (CMT) in two related transactions: (1) the sale of CMT’s land and buildings in Chestnut Hill to nearby Boston College, and (2) CMT’s relocation to the Brookline campus of Congregation Kehillath Israel (CKI), including the negotiation of a unique, complicated co-location agreement with CKI, addressing multiple real estate, operational, and programmatic issues. Acquisition, financing and leasing of 160 Federal Street in Boston and Harvard Mills in Wakefield, Massachusetts. Assistance with acquisition and permitting, including LEEDS-related issues. Served as special counsel to the City of Quincy in connection with the negotiation and drafting of a complex Land Disposition Agreement (“LDA”) with Street-Works Development, LLC for its proposed $1.3 billion New Quincy Center redevelopment project. YMCA of Greater Boston, Inc.
Nutter represented YMCA of Greater Boston, Inc. in connection with a complex, three-party sale of a portion of 316-320 Huntington Avenue to PPC Land Ventures, Inc. and Northeastern University for a new dormitory, including complex easement agreements, conveyancing, and land use permitting matters. Entitlement analysis in connection with the workout of Legacy Farms (Weston Nurseries) in Hopkinton. General real estate services and permitting of numerous projects for Tufts University at its campuses in Medford/Somerville, and Boston, Massachusetts. 2016 CJP Superstar, Combined Jewish Philanthropies of Greater Boston, Inc.
Community of Excellence Award, Combined Jewish Philanthropies of Greater Boston, Inc.
Bob worked on the acquisition, disposition, permitting, financing, and leasing for National Development of New England on such Massachusetts projects as Station Landing in Medford, MarketStreet at Lynnfield (40R), the Bridges in Andover, IBM campus in Littleton, ArborPoint at Woodland Station in Newton (40B), and numerous other office, research and development, shopping center, residential and assisted living projects.